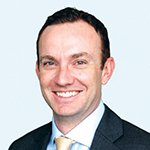 Jeff Boswell, Strategy Leader and Portfolio Manager, Investec Asset Management. With the current bond bull market already over 30 years old, there is some discussion as to whether it is coming to a close, which makes it an interesting time to be an investor. While credit is often used as something of a catch-all phrase in terms of looking across the broader market, underlying the term is a variety of different credit market subsets which behave in very different ways. An environment where we are questioning the length of the economic cycle while experiencing concerns about whether it’s the end of a bull market for bonds in general, leads to a complexity where, even if asset owners have invested in the right parts of the credit markets, they know valuations have inevitably tightened in. 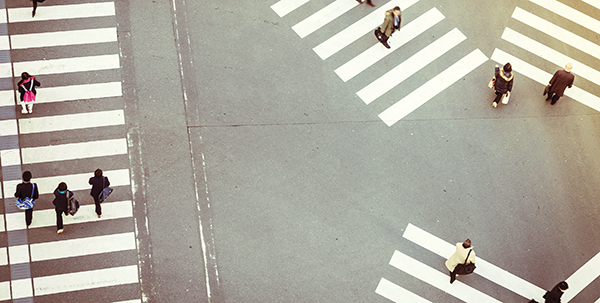 Right now, many investors are perhaps at a crossroads in terms of trying to anticipate where to go from here and in planning the best way to invest in an environment of heightened uncertainty. From a multi-asset credit point of view, this begs the question of how to position such strategies. From a credit investor’s perspective, some divergent performance between different credit market subsets has been useful and this really comes to the core benefit of a multi-asset credit strategy, where you are not beholden to a requirement to invest in one particular part of the credit market. Different aspects of the credit market have very distinct behavioural characteristics, and in an ideal world where there is a variety of different potential outcomes, or different drivers of credit markets over the coming 12 months, there is the flexibility to rotate between different credit sectors. And there is also the flexibility to look for repricing opportunities where, because of supply/demand imbalances within different markets, there can be a divergence in the way that almost identical credit risk is priced in different markets. One useful aspect of this divergence is how markets themselves can throw up opportunities for the savvy investor. 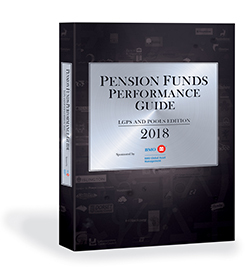 Not only in terms of obtaining the best return for a given level of risk, but also helping to futureproof portfolios to account for an increase in risk from such factors as changing levels of inflation and rates, geopolitical events, trade wars, and so on. In the current environment it is important to be realistic as an investor and to understand that to obtain significant returns, it could be necessary to increase risk to an uncomfortable level. In my mind there is still return on offer, but because of the way markets have performed over the last couple of years – across most asset classes, not just credit, the return for taking an incremental unit of risk may not be compelling. Valuations being squeezed as much as they have been does have the advantage that the amount given up for an incremental unit of risk is actually not particularly significant. So, in our mind, in those environments it’s less about reaching for return and more about earning sensible returns while adding resilience to the portfolio. The underlying benefit of a multi-asset credit strategy is the ability to access a broad opportunity set where it becomes possible to choose the best ideas in individual markets. It is not necessary to be invested in all of possible credit subsets. Instead, picking the best ideas from individual markets should give a better outcome from a volatility perspective than buying the markets as a whole. Thus, putting volatility to one side, the resilience of best ideas should actually add some ballast to a portfolio in terms of how it performs in different environments. However, if credit markets as a whole do experience substantial volatility and see a meaningful credit spread repricing, then even though picking the best portfolio possible will not insure against downturns, the portfolio should certainly show more resilience. Looking back to the beginning of 2016 – possibly the last time there was a reasonable amount of volatility – a reasonably significant return was on offer due to the repricing of credit markets. At this current juncture, markets are in a slightly different place where valuations certainly aren’t as attractive but an agnostic credit investor can step back and look across credit markets, positioning for the opportunities likely to come as the cycle itself matures. Further, we see some divergence in terms of valuation across different market subsets. All investments carry the risk of capital loss.